More than 92 cents of every dollar of Lottery revenue goes to prizes, scholarships, retailer commissions, and other expenses in Arkansas. Since 2009, the Lottery has provided more than $781 million for more than 302,000 college scholarships, more than $2.8 billion in prizes to players, about $245 million in retailer commissions and more than $124 million state and federal tax revenue. Follow the Arkansas Scholarship Lottery on Facebook, Twitter and Instagram. 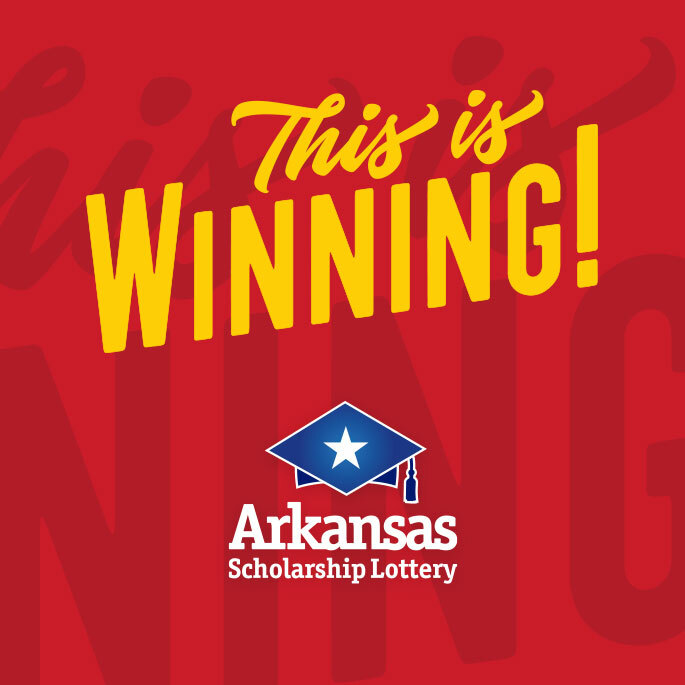 Visit MyArkansasLottery.com for more information on scholarships, winners, games, odds, promotions – and to join The Club for free. To hear winning numbers, call the Winning Numbers Hotline at 501-682-IWON (4966). To get help with problem gambling, contact the National Problem Gambling Helpline at 1-800-522-4700. The purpose of the Department of Finance and Administration Office of the Arkansas Lottery is to oversee the operation of a lottery whose net proceeds will provide scholarships and grants to Arkansas citizens for in-state colleges and universities. Scholarships are to be available for non-profit, public and private, two- and four-year colleges and universities. Arkansas Code Annotated § 23-115-102.